Migration can be an extremely long and tiring process regardless of which country you are attempting to enter. Depending on the overall motivation when applying for citizenship, some may have a slightly shorter waiting period than others. Federal skilled workers, or FSW, are of greater value to a country and are therefore of a higher priority, especially in recession-proof industries. See the Canadian IELTS / Entry program for more. For example, doctors, dentists, and teachers are professions that will always be necessary. That’s good news if you are a teacher wanting to immigrate to Canada. Provincial and territorial governments operate their own school systems, and are responsible for setting out the regulations for teaching jobs in Canada. The rules are broadly similar across the country, but with some local differences. A bachelor’s degree in Education and a provincial certificate is required for teaching jobs in Canada. Obtaining certification can be a slow process, so it’s best to start before your arrival in Canada if possible. Fitness to teach, including character reference and successful criminal record checks. Supervised student teaching may also be required. For secondary teaching jobs in Canada, it is recommended to complete a major in one teachable subject, and a minor in another teachable subject. These include languages, sciences, social studies, and business. are internationally enrolled, or were enrolled within the last year in a Canadian PhD program. Since Canada is not in the habit of allowing anyone to sleep on their streets, they will want to know just how you plan to begin your life once you have crossed the border. Any dependents you have will also be taken into consideration. Having too much money without a paper trail is a quick way to get your application dismissed; while lacking enough funds to sustain your family for more than a month will typically end the same way. Certain applicants will most likely be denied immediately. Ensure none of these discrepancies get in your way before moving forward. If you are ready to take your teaching career to Canada, contact an immigration lawyer that specializes in Canadian immigration. Most lawyers offer very affordable or even free consultations to hear about your situation. If the consultation is positive, the lawyer can discuss the cost of his services from there, along with explaining exactly how much easier he can make the entire process for you. The first step to immigrating to Canada as a teacher begins with a simple assessment. Contact Niren and Associates today to arrange your consultation. Are You Interested in Migrating to Canada as a Teacher in 2019? If so, Contact VisaPlace today. All our cases are handled by competent and experienced immigration professionals who are affiliated with VisaPlace. These professionals consist of lawyers, licensed paralegals and consultants who work for Niren and Associates an award winning immigration firm that adheres to the highest standards of client service. Thank you for contacting us at VisaPlace! With your work experience you may be eligible to immigrate to Canada as a teacher and obtain work there. However, we would have to take a closer look at your case to better determine your eligibility. Hiring an immigration lawyer will help you get answers to all of your questions, plus it will increase the chance of getting a visa approved. Please, complete this form for me http://www.visaplace.com/immigration-assessment/ it is just a quick and easy way for me to learn more details about your situation so that I will be able to advise you accurately and determine the best avenue for us to take to give you the best legal advice. Please i need a guideline on how to work in canada, i speak french and enlish language,and i can as well teach french as a course, i have BSC. french please what are the steps to take? Thank you for contacting us at VisaPlace! While we are not a job placement company, we would be happy to guide you through any visa application processes. With your experience, you may be eligible to obtain work and immigrate to Canada as a teacher. Hiring an immigration lawyer will help you get answers to all of your questions, plus it will increase the chance of getting a visa approved. Please, complete this form for me http://www.visaplace.com/immigration-assessment/ it is just a quick and easy way for me to learn more details about your situation so that I will be able to advise you accurately and determine the best avenue for us to take to give you the best legal advice. I have been a video tutorial presenter and a teacher in several institutes (but not schools) for advanced computer sciences for more than 13 years. I am also selling my courses on some internet platforms such as Udemy.com and they are successful. I have an associate degree in Operating room but since 2000 shifted to IT career. Can I be a good candidate to apply as a teacher? Thank you for contacting us at VisaPlace! With your experience in teaching you definitely may be a good candidate to apply to work in Canada as a teacher. Hiring an immigration lawyer will help you get answers to all of your questions, plus it will increase the chance of getting a visa approved. Please, complete this form for me http://www.visaplace.com/immigration-assessment/ it is just a quick and easy way for me to learn more details about your situation so that I will be able to advise you accurately and determine the best avenue for us to take to give you the best legal advice. Thank you for contacting us at VisaPlace! With your experience you may be eligible to immigrate to Canada under the Express Entry program. You may also be eligible for spousal sponsorship. We would be happy to take a closer look at your case to help determine the best pathway for you. I have done btech in electronics and communication and also i have been teaching privately to students for more than 3 years . would i be able to get teaching job? Thank you for contacting us at VisaPlace! With your experience you may be eligible to apply for work as a teacher in Canada and obtain a work visa. I have completed my Graduation in Physics and I have 2.5 years of experience in teaching. Am I eligible to get a job in Canada and PR as well? I also have a PG from IGNOU in Political Science. Can you guide me which one would be better for me to get a job there, Bsc Physics/MA Pol.Science? Thank you for contacting us at VisaPlace! With your academic and work experience, you may be eligible to apply for a job as a teacher in Canada and potentially obtain PR status through Express Entry. We would be happy to help guide you through the immigration process, however we are not a job search agency and cannot know for certain which field you should be applying for. Hiring an immigration lawyer will help you get answers to all of your questions, plus it will increase the chance of getting a visa approved. Please, complete this form for me http://www.visaplace.com/immigration-assessment/ it is just a quick and easy way for me to learn more details about your situation so that I will be able to advise you accurately and determine the best avenue for us to take to give you the best legal advice. I have done 2 years diploma course in teaching , graduation and has even qualified CTET exam and now pursuing B.ed from corrspodnce. How can i can migrate to canada for teaching job? Thank you for contacting us at VisaPlace! With your academic experience you may be eligible to apply for work and immigrate to Canada as a teacher. We would be happy to take a closer look at your case to help guide you through this process. Hiring an immigration lawyer will help you get answers to all of your questions, plus it will increase the chance of getting a visa approved. Please, complete this form for me http://www.visaplace.com/immigration-assessment/ it is just a quick and easy way for me to learn more details about your situation so that I will be able to advise you accurately and determine the best avenue for us to take to give you the best legal advice. Hi. I am Sadia. I am from Pakistan.I have done Masters in Urdu and Political Science, Moreover in Professional qualification I have done B.ED and M.ED As well I have Twelve years experience in teaching Ten Years In Primary school and 2 years in Higher Secondary School which is attached with a teaching college, Moreover I am Part time tutor of an Open University. I am Conducting as a tutor in workshops etc. I want to apply for Visa. Please Can you Assist me. Replay me as soon as possible. Thank you for contacting us at VisaPlace! With your education and professional experience you may be eligible to immigrate to Canada as a teacher, potentially through the Express Entry program. We would be happy to guide you through this process. Hiring an immigration lawyer will help you get answers to all of your questions, plus it will increase the chance of getting a visa approved. Please, complete this form for me http://www.visaplace.com/immigration-assessment/ it is just a quick and easy way for me to learn more details about your situation so that I will be able to advise you accurately and determine the best avenue for us to take to give you the best legal advice. Thank you for contacting us at VisaPlace! With your academic and professional experience, you may be qualified to apply for Express Entry and work as a teacher in Canada. We would be happy to help guide you and your husband through the application process. Hiring an immigration lawyer will help you get answers to all of your questions, plus it will increase the chance of getting a visa approved. Please, complete this form for me http://www.visaplace.com/immigration-assessment/ it is just a quick and easy way for me to learn more details about your situation so that I will be able to advise you accurately and determine the best avenue for us to take to give you the best legal advice. I have just completed an MA in Linguistic Studies (Spanish and French Language) and am about to start the PGDE Primary Education Postgraduate course in Scotland which will have masters credits within the course. As a former language graduate, I am interested in Dual Immersion teaching, something not offered here in Scotland but know it is offered in Canada. Obviously, I would not consider moving until I have completed my postgrad degree and have at least a year or two worth of experience teaching here in Scotland. However, I have heard that it is a bit tricky to get a job as a teacher at the moment in Canada so I just wanted to know what are the chances are of being able to qualify and/or find a job as a Dual Immersion teacher for someone who lives outside of Canada? Would you have to complete a teaching degree in Canada or would a PGDE and experience in Scotland be suffice? Thank you for contacting us at VisaPlace! With your academic experience and future work experience, you absolutely may be eligible to apply for work as a teacher in Canada. We cannot know for certain the likelihood of you obtaining work, as it often depends on positions needed at the moment you are looking. We would be happy to help guide you through the visa process when the time comes. Hiring an immigration lawyer will help you get answers to all of your questions, plus it will increase the chance of getting a visa approved. Please, complete this form for me http://www.visaplace.com/immigration-assessment/ it is just a quick and easy way for me to learn more details about your situation so that I will be able to advise you accurately and determine the best avenue for us to take to give you the best legal advice. I have done MCA (Masters in computer application) and afterwards I have 2.5 years experience as Computer faculty (lecturer). I want to get Canadian PR along with my spouse. As my husband’s sister also a Canadian PR holder and stays there at Edmonton. Thank you for contacting us at VisaPlace! With your academic and professional experience you may be eligible to apply for permanent residency through the Express Entry program as a skilled worker. You may apply with your husband accompanying you. Hiring an immigration lawyer will help you get answers to all of your questions, plus it will increase the chance of getting a visa approved. Please, complete this form for me http://www.visaplace.com/immigration-assessment/ it is just a quick and easy way for me to learn more details about your situation so that I will be able to advise you accurately and determine the best avenue for us to take to give you the best legal advice. Thank you for contacting us at VisaPlace! With your professional and academic experience you may be eligible to apply for Express Entry as a skilled worker to teach in Canada. Hiring an immigration lawyer will help you get answers to all of your questions, plus it will increase the chance of getting a visa approved. Please, complete this form for me http://www.visaplace.com/immigration-assessment/ it is just a quick and easy way for me to learn more details about your situation so that I will be able to advise you accurately and determine the best avenue for us to take to give you the best legal advice. I am 35 years old and from Sri Lanka working as an Early childhood educator assistant for three years. I have one year diploma of LEVEL 4 professional diploma in teaching from Pierson Edexcel, UK and one year diploma of Child Care Management from a local institute. Do you think these qualification will be recognized in Canada? Thank you for contacting us at VisaPlace! With your professional experience you may qualify to immigrate to Canada as a skilled worker. We would be happy to take a closer look at your case to determine your eligiblity. Hiring an immigration lawyer will help you get answers to all of your questions, plus it will increase the chance of getting a visa approved. Please, complete this form for me http://www.visaplace.com/immigration-assessment/ it is just a quick and easy way for me to learn more details about your situation so that I will be able to advise you accurately and determine the best avenue for us to take to give you the best legal advice. Hi.. I am Preethi. I am from India. I have done B.E (Aeronautical) and Masters in Aeronautical as well. I have one year experience in teaching (college level). I am not employed currently. I want to teach college students or school students. My husband has 8 years of experience in Program Management in reputed MNCs. What exams should we take and what are the eligibility criteria to migrate to Canada, so that both of us can work? Thank you for contacting us at VisaPlace! With your work and academic experience, along with your husband’s, you may be eligible to apply for teaching jobs in Canada. Depending on your eligibility and work preferences, you may be sponsored by an employer and apply for a visa. Hiring an immigration lawyer will help you get answers to all of your questions, plus it will increase the chance of getting a visa approved. Please, complete this form for me http://www.visaplace.com/immigration-assessment/ it is just a quick and easy way for me to learn more details about your situation so that I will be able to advise you accurately and determine the best avenue for us to take to give you the best legal advice. Thank you for contacting us at VisaPlace! With your academic experience you may be eligible to work in Canada as a teacher. With a job offer you may apply for a visa, and we would love to help you through this process. Hiring an immigration lawyer will help you get answers to all of your questions, plus it will increase the chance of getting a visa approved. Please, complete this form for me http://www.visaplace.com/immigration-assessment/ it is just a quick and easy way for me to learn more details about your situation so that I will be able to advise you accurately and determine the best avenue for us to take to give you the best legal advice. whats are the requirements for going to canada if we done mtech in computer engineering? how much money is required? and my real sister is living in canada and ahe is know pr. what should i do for going to canada? Thank you for contacting us at VisaPlace! With your background in computer engineering, you may be eligible for a visa, and we would love to help you during this process! Hiring an immigration lawyer will help you get answers to all of your questions, plus it will increase the chance of getting a visa approved. Please, complete this form for me http://www.visaplace.com/immigration-assessment/ it is just a quick and easy way for me to learn more details about your situation so that I will be able to advise you accurately and determine the best avenue for us to take to give you the best legal advice. I am M.tech(CSE) and B.Tech(IT) and also have 1 year previous experience as web developer and now i m working as a lecturer in college..
My spouse has a real sister in ontario who is permanent resident here. so i want to permanently settle in canada with my spouse ..
please guide me what is the best way and am i eligible to apply now? Thank you for contacting us at VisaPlace! Because of your work experience and family in Canada, you may be eligible to migrate to Canada through both employment and family-based preferences. Hiring an immigration lawyer will help you get answers to all of your questions, plus it will increase the chance of getting a visa approved. Please, complete this form for me http://www.visaplace.com/immigration-assessment/ it is just a quick and easy way for me to learn more details about your situation so that I will be able to advise you accurately and determine the best avenue for us to take to give you the best legal advice. Thank you for contacting us at VisaPlace! We would love to help you apply for pnp! Hiring an immigration lawyer will help you get answers to all of your questions, plus it will increase the chance of getting a visa approved. Please, complete this form for me http://www.visaplace.com/immigration-assessment/ it is just a quick and easy way for me to learn more details about your situation so that I will be able to advise you accurately and determine the best avenue for us to take to give you the best legal advice. Hi I Amanpreet kaur from india .i have done master in maths and b.ed.i have 3 year of experince of teaching at my own institution currently i am in a canada bc on visitor visa. how can i get work permit of teacher. Thank you for contacting us at VisaPlace! We would love to help you secure a work permit to continue working in Canada as a teacher! But first, we need to take a closer look at your case. Hiring an immigration lawyer will help you get answers to all of your questions, plus it will increase the chance of getting a visa approved. Please, complete this form for me http://www.visaplace.com/immigration-assessment/ it is just a quick and easy way for me to learn more details about your situation so that I will be able to advise you accurately and determine the best avenue for us to take to give you the best legal advice. Hello ! My name is Muhammad Mohamin 🙂 .I am 25 years old .I have completed my Masters degree in Urdu Language .I want to become a school teacher in Canada.Can i get this post ? and what about residence ? Will my residence be that much large , that i could easily adjust my Parents ( if they come to Canada on visiting visa ) ? Thank you for contacting us at VisaPlace! To become a teacher, you will likely want to have a job offer and obtain a work visa. We would love to talk to you to discuss this process further and determine your eligibility, as well as the process of finding a residence. Hiring an immigration lawyer will help you get answers to all of your questions, plus it will increase the chance of getting a visa approved. Please, complete this form for me http://www.visaplace.com/immigration-assessment/ it is just a quick and easy way for me to learn more details about your situation so that I will be able to advise you accurately and determine the best avenue for us to take to give you the best legal advice. Hii I m satinder . I have done post graduation in political science, B.Ed , PGDCA and having experience as a PGT political science n TGT social science for 9 years . I want to apply for PR canada with my spouse . Kindly guide me the best way to move there . I shall be highly obliged. Thank you for contacting us at VisaPlace! With your background in political and social science, you may be eligible for permanent residency, and we would love to help you during this process! Hiring an immigration lawyer will help you get answers to all of your questions, plus it will increase the chance of getting a visa approved. Please, complete this form for me http://www.visaplace.com/immigration-assessment/ it is just a quick and easy way for me to learn more details about your situation so that I will be able to advise you accurately and determine the best avenue for us to take to give you the best legal advice. I am Harpreet Kaur. My highist qualification is M.Tech. I have an experience of 1.5 years as assistant professor. How can i get a job in canada? Thank you for contacting us at VisaPlace! Unfortunately, we are not a job searching company, but we can certainly help you with your immigration questions. Hiring an immigration lawyer will help you get answers to all of your questions, plus it will increase the chance of getting a visa approved. Please, complete this form for me http://www.visaplace.com/immigration-assessment/ it is just a quick and easy way for me to learn more details about your situation so that I will be able to advise you accurately and determine the best avenue for us to take to give you the best legal advice. Hi, I am from India. I have completed B.Sc. with Chemistry, Botany, Zoology and biotech and B.Ed. (2 years program). I am a fresher. Am I eligible to teach in Canada at an intermediate level as a fresher? Do I need to apply for some sort of teaching training program before applying? Thank you for contacting us at VisaPlace! With your advanced education, and work experience you may qualify for Canadian immigration. We have helped thousands of clients in similar situations like yours, and we may be able to help you! We do need to take a closer look at you and your case first before determining the level of teaching. Hiring an immigration lawyer will help you get answers to all of your questions, plus it will increase the chance of getting a visa approved. Please, complete this form for me http://www.visaplace.com/immigration-assessment/ it is just a quick and easy way for me to learn more details about your situation so that I will be able to advise you accurately and determine the best avenue for us to take to give you the best legal advice. Thank you for contacting us at VisaPlace! We have helped many teachers immigrate to Canada, and we would love to help you! With your 15 years of experience, you may be eligible for a visa. Hiring an immigration lawyer will help you get answers to all of your questions, plus it will increase the chance of getting a visa approved. Please, complete this form for me http://www.visaplace.com/immigration-assessment/ it is just a quick and easy way for me to learn more details about your situation so that I will be able to advise you accurately and determine the best avenue for us to take to give you the best legal advice. I am Malathi Ramachandran, an online tutor. I hold M.Sc.,M.Phil.,B.Ed.,(Biotechnology) IELTS., my overall score in IELTS is 6.5. Thank you for contacting us at VisaPlace! You may certainly be able to get a teaching job in Canada. Unfortunately, we are not a job searching site, but we would love to help you immigrate to Canada. Hiring an immigration lawyer will help you get answers to all of your questions, plus it will increase the chance of getting a visa approved. Please, complete this form for me http://www.visaplace.com/immigration-assessment/ it is just a quick and easy way for me to learn more details about your situation so that I will be able to advise you accurately and determine the best avenue for us to take to give you the best legal advice. I’m an English teacher in Iran with 7 years experience after I graduated and got my B.A. Is there a way to migrate for me as a teacher…? I’m 43 now. Thank you for contacting us at VisaPlace! We have helped many teachers immigrate to Canada, and we would love to help you! With your education and experience, you may eligible for a visa. First, we need to take a closer look at your case. Hiring an immigration lawyer will help you get answers to all of your questions, plus it will increase the chance of getting a visa approved. Please, complete this form for me http://www.visaplace.com/immigration-assessment/ it is just a quick and easy way for me to learn more details about your situation so that I will be able to advise you accurately and determine the best avenue for us to take to give you the best legal advice. Hey hi.i am Sheena.i have done b.ed from India and migrating to Canada as dependent.can i get a teaching job in Canada on b.ed basis or I have to do some more qualifications? Thank you for contacting us at VisaPlace! You may certainly be able to get a teaching job. We would love to help you through the Canadian immigration process. Hiring an immigration lawyer will help you get answers to all of your questions, plus it will increase the chance of getting a visa approved. Please, complete this form for me http://www.visaplace.com/immigration-assessment/ it is just a quick and easy way for me to learn more details about your situation so that I will be able to advise you accurately and determine the best avenue for us to take to give you the best legal advice. I am an Indian with PhD degree in chemistry. I have around 17 years of experience in teaching applied chemistry in India and middle east. I have publications in international journals and conferences. I am looking for a teaching position in Canada. Please advice me. Thank you for contacting us at VisaPlace! With your advanced degree and exceptional experience, you may be eligible for a visa, and we would love to help you during this process. Hiring an immigration lawyer will help you get answers to all of your questions, plus it will increase the chance of getting a visa approved. Please, complete this form for me http://www.visaplace.com/immigration-assessment/ it is just a quick and easy way for me to learn more details about your situation so that I will be able to advise you accurately and determine the best avenue for us to take to give you the best legal advice. hi i am a computer faculty in govt school since 3.5 years after my B.tech in Computer science engineering. I want to migrate Canada .My wife have master degree in mathematics .Please give me some directional suggestions for my future.. Myself Harcharanjit Singh from India B.Sc. B.Ed. M.A.(English) . I have been teaching as mathematics master in Govt. institution since 20 years. So, I am looking for job of teaching in Canada. Please give me some positive information about it. Thank you for contacting us at VisaPlace! With your teaching background, you may be eligible for a visa. We have helped many teachers immigrate to Canada, and we would love to help you! Hiring an immigration lawyer will help you get answers to all of your questions, plus it will increase the chance of getting a visa approved. Please, complete this form for me http://www.visaplace.com/immigration-assessment/ it is just a quick and easy way for me to learn more details about your situation so that I will be able to advise you accurately and determine the best avenue for us to take to give you the best legal advice. Thank you for contacting us at VisaPlace! You may be eligible to teach in Canada, and we would love to help you during this process. We have helped many clients in similar situations. Hiring an immigration lawyer will help you get answers to all of your questions, plus it will increase the chance of getting a visa approved. Please, complete this form for me http://www.visaplace.com/immigration-assessment/ it is just a quick and easy way for me to learn more details about your situation so that I will be able to advise you accurately and determine the best avenue for us to take to give you the best legal advice. Hi. I have done Bs(hons) Bioinformatics ……. I am teaching primary classes in a School please guide me how can I apply for Canadian immigration. Thank you for contacting us at VisaPlace! We would love to help you during the Canadian immigration process. We have helped many teachers immigrate to Canada, and we may be able to help you! Hiring an immigration lawyer will help you get answers to all of your questions, plus it will increase the chance of getting a visa approved. Please, complete this form for me http://www.visaplace.com/immigration-assessment/ it is just a quick and easy way for me to learn more details about your situation so that I will be able to advise you accurately and determine the best avenue for us to take to give you the best legal advice. Hi, I would really thankful to the person who could help me out by answering my query. I am a private maths tutor here in India who teaches students to prepare them for various engineering entrance exams conducted here in India. I train students specially for IITJEE and have worked with some of top institutions which are meant for IITJEE preparations only. My question is what NOC I would fit in. Different people suggest me different NOCs. After having little discussion over this, I summed up to three NOC 4021,4216,4031. Now confusion is which one I fit most among these three ? Anyone out there to help me ? Thanks in advance. Thank you for contacting us at VisaPlace! We have helped many people sponsor kids and young adults to work in Canada and we may be able to help you! We do need to take a closer look at you, the kids, and your case. Hiring an immigration lawyer will help you get answers to all of your questions, plus it will increase the chance of getting a visa approved. Please, complete this form for me http://www.visaplace.com/immigration-assessment/ it is just a quick and easy way for me to learn more details about your situation so that I will be able to advise you accurately and determine the best avenue for us to take to give you the best legal advice. Thank you for contacting us at VisaPlace! With your advanced work experience, you may qualify for Canadian Work Permit. Hiring an immigration lawyer will help you get answers to all of your questions, plus it will increase the chance of getting a visa approved. Please, complete this form for me http://www.visaplace.com/immigration-assessment/ it is just a quick and easy way for me to learn more details about your situation so that I will be able to advise you accurately and determine the best avenue for us to take to give you the best legal advice. I am working as a school teacher in india, and my husband is working as Software developer I am thinking to move to canada for permanent residence, please guide me the process we need to follow and how we need to apply? Thank you for contacting us at VisaPlace! With your background as a teacher and your husband’s background as a software developer, you both may be eligible for visas. We would love to help you both through this process. Hiring an immigration lawyer will help you get answers to all of your questions, plus it will increase the chance of getting a visa approved. Please, complete this form for me http://www.visaplace.com/immigration-assessment/ it is just a quick and easy way for me to learn more details about your situation so that I will be able to advise you accurately and determine the best avenue for us to take to give you the best legal advice. I have done my graduation in Social science and B.Ed also in the same stream. I have done M.A in English Literature. at present i am working as a teacher in Oman. My nationality is Indian. i want to migrate to Canada in teaching field. how can I apply? Thank you for contacting us at VisaPlace! We have helped many people teach in Canada, and we would love to help you! Hiring an immigration lawyer will help you get answers to all of your questions, plus it will increase the chance of getting a visa approved. Please, complete this form for me http://www.visaplace.com/immigration-assessment/ it is just a quick and easy way for me to learn more details about your situation so that I will be able to advise you accurately and determine the best avenue for us to take to give you the best legal advice. I am Ph.D. In Education and have been certified for lectureship from University Grant commission of India. Before it i passed M Ed. , M.A, B.Ed. and science graduate with the combination of subject Zoology, and Chemistry. I am professionally trained teacher as per Indian norms and i have been working as a Trained Graduate Teacher of Natural Science in the Government School of Delhi since 1998 on permanent and regular position, while my wife is also a government teacher of Urdu. I have two sons and a daughter. It is my ardent desire to migrate Canada with my family to provide the best education of sustainable development and peace to my lovely sons and pretty daughter in the suitable climate through the ethical practices and experts. Is it possible that i could get a job of science teaching at the grade of 9 in any school or assistant professor in education in university???? i hope, you will be kind enough to guide me properly. Thank you for contacting us at VisaPlace! Unfortunately, we are not a job searching company, but with your advanced work experience and degree, you may qualify for Canadian immigration for you and your family. Hiring an immigration lawyer will help you get answers to all of your questions, plus it will increase the chance of getting a visa approved. Please, complete this form for me http://www.visaplace.com/immigration-assessment/ it is just a quick and easy way for me to learn more details about your situation so that I will be able to advise you accurately and determine the best avenue for us to take to give you the best legal advice. I have done M.A English and B.Ed.I have six year teaching experience as a lecturer in a university.I got married seven months ago.I want to apply for PR.Me and my husband we want to settle down in Canada.What are the chances? Thank you for contacting us at VisaPlace! With your education and work experience, you and your husband may be eligible for visas in order to settle down in Canada. First, we need to take a closer look at you and your case. Hiring an immigration lawyer will help you get answers to all of your questions, plus it will increase the chance of getting a visa approved. Please, complete this form for me http://www.visaplace.com/immigration-assessment/ it is just a quick and easy way for me to learn more details about you and your situation so that I will be able to advise you accurately and determine the best avenue for us to take to give you the best legal advice. Thank you for contacting us at VisaPlace! We would love to help you and your family immigrate to Canada. You and your family have great work and education backgrounds. First, we need to take a closer look at your case to see if you are eligible for a visa. Hiring an immigration lawyer will help you get answers to all of your questions, plus it will increase the chance of getting a visa approved. Please, complete this form for me http://www.visaplace.com/immigration-assessment/ it is just a quick and easy way for me to learn more details about you and your situation so that I will be able to advise you accurately and determine the best avenue for us to take to give you the best legal advice. Thank you for contacting us at VisaPlace! With your advanced degree and extensive work experience, you may qualify for Canadian immigration. We do need to take a closer look at your case. Hiring an immigration lawyer will help you get answers to all of your questions, plus it will increase the chance of getting a visa approved. Please, complete this form for me http://www.visaplace.com/immigration-assessment/ it is just a quick and easy way for me to learn more details about you and your situation so that I will be able to advise you accurately and determine the best avenue for us to take to give you the best legal advice. I want to ask that i am studying b.s biotechnology from Pakistan..it’s my second semester.I want to study in canada onward…can I apply???? ?what’s the procedure?? ?how much time will be required for the visa???? We have helped thousands of students study in Canada, and we would love to help you! First, we need to take a close look at your case. Hiring an immigration lawyer will help you get answers to all of your questions, plus it will increase the chance of getting a visa approved. Please, complete this form for me http://www.visaplace.com/immigration-assessment/ it is just a quick and easy way for me to learn more details about your situation so that I will be able to advise you accurately and determine the best avenue for us to take to give you the best legal advice. I am from India. I have completed MSC in chemistry and B.Ed. I have two years for teaching experience in primary school. What is my scope as a teacher in schools or colleges of Canada? Can I get a teaching job in Canada? What are the requirements? Thank you for contacting us at VisaPlace! With your advanced degree and work experience, you may be eligible for a visa in order to teach in Canada. Hiring an immigration lawyer will help you get answers to all of your questions, plus it will increase the chance of getting a visa approved. Please, complete this form for me http://www.visaplace.com/immigration-assessment/ it is just a quick and easy way for me to learn more details about you and your situation so that I will be able to advise you accurately and determine the best avenue for us to take to give you the best legal advice. Thank you for contacting us at VisaPlace! Unfortunately, we cannot give legal advice over the internet. With your education, however, you may be eligible for express entry. We have helped thousands of clients in similar situations like yours, and we may be able to help you! I do need to take a closer look at your case. Hiring an immigration lawyer will help you get answers to all of your questions, plus it will increase the chance of getting a visa approved. Please, complete this form for me http://www.visaplace.com/immigration-assessment/ it is just a quick and easy way for me to learn more details about you and your situation so that I will be able to advise you accurately and determine the best avenue for us to take to give you the best legal advice. Hi. I am Sarika Sharma from India. I am interesting in working as a Teacher in Canada. I have done BSc with Chemistry, Botany and Zoology. After that I completed my Master in Psychology. After that I completed two professional degrees viz., BEd and MEd (Bachelor of Education and Masters of Education). I have also qualified University Grants Commission’s National Eligibility Test (NET) which makes me eligible for Teaching in Colleges and Universities in India. Currently, I am working as Government School Teacher in India. My teaching experience is around 1.5 yrs as of now. Thank you for contacting us at VisaPlace! With your advanced degree and education, you may be eligible to teach in Canada. We have helped thousands of clients in situations like yours, and we may be able to help you! I do need to take a closer look at your case. Hiring an immigration lawyer will help you get answers to all of your questions, plus it will increase the chance of getting a visa approved. Please, complete this form for me http://www.visaplace.com/immigration-assessment/ it is just a quick and easy way for me to learn more details about you and your situation so that I will be able to advise you accurately and determine the best avenue for us to take to give you the best legal advice. Thank you for contacting us! I would love to help you obtain a work visa in the United States. We have helped thousands of clients in your same situation. First I need to know more about you and your case. Hiring an immigration lawyer will help you get answers to all of your questions plus it will also increase the chance of approval of the visa you are inquiring. Please, complete this form for me http://www.visaplace.com/immigration-assessment/ it is just a quick and easy way for me to learn more details about you and your situation so that I will be able to advise you accurately and determine the best avenue for us to take to give you the best legal advice. I am Sameera from India.I am a post graduate in English Literature.I would like to work in Canada.I dont have any experience.But I am a Skill Development Executive of Additional skill Acquisition Programme,Kerala.Can you tell me about the formalities.How can I apply for the teacher proffession.Please help me. Thank you for your inquiry, I’m glad you contacted us! I can understand how the laws and regulations can be quite confusing when it comes to immigration between Canada and the US. We have helped thousands of clients in very similar situations as yours. I do need to learn more about you and your case. Hiring an immigration lawyer will help you get answers to all of your questions plus it will also increase the chance of approval of the visa you are inquiring about. Please, complete this form for me http://www.visaplace.com/immigration-assessment/ it is just a quick and easy way for me to learn more details about you and your situation so that I will be able to advise you accurately and determine the best avenue for us to take to give you the best legal advice. My name is Debbie and I am of Indian. I have been an early years teacher for the past 2 years and prior to that a corporate. I decided to go into teaching after my daughter was born and began my degree for a Bachelors in ECE (New zealand Tertiart college) approved by NZQA. I complete my degree in April. I am 47 years old and my husband is an M.COM, MBA with 18 years of work experience in marketing in telecom. I would like to know if we would qualify. We both did an IELTS last year and I got a score of 8 while my husband got 8.5. We applied for the express entry pool but the one year validity expired and we never reached the qualifying point stage. Now that I have the teaching qualification I would have liked to know the possibilities of a job. Thank you for your inquiry, I’m glad you contacted us! Unfortunately we are not a job search company but we can absolutely assist you in obtaining the valid visa for the job you’re looking to be hired at. I’m sorry to hear about not being able to reach the qualifying point but we may be able to help you! Hiring an immigration lawyer will help get you all your legal questions, it will also increase your chance of visa approval. I would love to help you during this journey. Please, complete this form for me http://www.visaplace.com/immigration-assessment/ it is just a quick and easy way for me to learn more details about you and your situation so that I will be able to advise you accurately and determine the best avenue for us to take to help you obtain the best legal advice. Please when trying to migrate to Canada using the Express entry, does your success depend on getting a job first or it depends on the points you have as a candidate in the pool. And for regulated jobs in Canada, can an employer offer you a job based on your qualification without a province certificate, and wait for you to come over to Canada to complete the certification process? Please Manuel, complete this form for me http://www.visaplace.com/immigration-assessment/ it is just a quick and easy way for me to learn more details about you and your situation so that I will be able to advise you accurately and determine the best avenue for us to take to help you be accepted into the Express Entry program. sir I wanna migrate in Canada for teaching job .I am bachelors holders in computer science as well I have five years experince in teaching profession.Although i want to know whats kinds of requirements are needed to be a teacher in Canada and how to get visa for that post of teacher. I have no ielts and french language so please may i get detail information? CELTA holder an English teacher can immigrate?Do I need with CELTA additional education credential? Hi, i have three and half years of experience in teaching as an assistant professor in engineering colleges at India.But i want to do job at Canada.please tell me can i apply for a jobs in canada and what qualifications are needed to do teaching job there? I have done History (hons) in bachelors and masters in history from delhi university. I have 6 years of teaching experience as a TGT in cbse school . Know i would to serve in canada as a teacher. Would like to have your assisstance and guidance. I have done m.phil in mathematics. I am leaving in india and want to do job in canada. i have a work experience of two years of teaching in a college, 2 years experience in research and development sectors and almost 6 years of teaching experience in a institute. please tell me can i apply for a jobs in canada and what qualifications are needed to do teaching job? I am a recent graduate from University and I would like to teach in Canada. I have no job offer as yet. 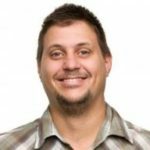 How do I go about teaching in Canada? I’ve been offered a job in Nova Scotia and we currently live in Scotland. Its an internal move with the same company. I’m an Engineer but my wife is a teacher. I have a friend who moved over to Toronto on he back of her husbands work visa but she has a restriction on her visa which means she can’t work in a school. Is this due to the particular visa she has and is my wife’s visa likely to have the same restriction? Her being able to work will have a big impact on my decision to take the job. Hello Ramanpreet. You will first need a job offer from a Canadian educational institution. You can search the Canadian job boards such as http://www.monster.ca or http://www.indeed.ca . Once you have your job offer, we can help you obtain the work visa that you will need to come to Canada. You must also find out from the prospective employer if your teaching credentials are sufficient for the position that you are applying for. I had done m.com, b.com with commerce back ground. I have been appointed as TGT Social Science and economics at reputed schools in New Delhi from past 5 years. Now I am looking to serve in Canada. Kindly help what should be my 1st step and what kind of job opportunities should I look forward to. sir I have five years teaching experince in Pakistan and Saudi Arabia .I have done BA in Mass Communication .I have also done Post Graduat in Montessori Studies .I am Married .Can i apply for canada School .I am from Pakistan . I want to Canada teacher visa.with my husband . Hello Amina. You will first need a job offer from a Canadian company. You can search the Canadian job boards such as http://www.monster.ca or http://www.indeed.ca . Once you have your job offer, we can help you obtain the work visa that you will need to come to Canada. In Canada, each province has specific requirements that must be met in order to work as a teacher. You must check with your potential employer if your credientials are acceptable. I am a British citizen and a teacher of English as a second language. I have a Delta from UCL London (master’s equlivant) and have been teaching for 5 years in the same language school in London. 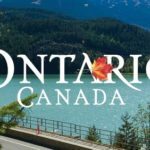 Is it possible for me to apply to emigrate to Canada and what are the steps I need to take? Hello Steve. You will first need a job offer from a Canadian company. You can search the Canadian job boards such as http://www.monster.ca or http://www.indeed.ca . Once you have your job offer, we can help you obtain the work visa that you will need to come to Canada. You must know that each province in Canada determines the credentials necessary i order to become a teacher. You will have to check with your employer to see if you have the proper certifications. Hello Atul. The first important step is to get a job offer from a Canadian company or educational institution. Once you have a job offer, then we can help you obtain the visa that you will need to be able to work in Canada. I am an assistant professor and teach graduate and post graduate courses in electronics engineering from past 7 years. I am presently pursuing Ph.D in communication engineering and technology from a university in India. I would like to know what are my chances of getting a similar job profile in Canada and should I apply for immigration to Canada along with my family? My husband too is interested in getting a job in Canada, he is working as a senior manager in a digital marketing and e commerce company in India. Please provide your valuable inputs and suggestions. Hello Shan.The first important step is to get a job offer from a Canadian company. Once you have a job offer, then we can help you obtain the visa that you will need to be able to work in Canada. In Canada, each province has jurisdiction over the requirments that are required to teach. Yu will have to check with each prospective empoloyer as to whether your credentials are sufficient. I am Muhammad nazir .i am a professor of biology in girls college teaching upto bsc level and experience of 29 years.i have 5 kids one is mbbs doctor and other kids are studying in university and college .i am from Pakistan. i want to migrate to canada.please advice. Hello Muhammad. The first important step is to get a job offer from a Canadian company. Once you have a job offer, then we can help you obtain the visa that you will need to be able to work in Canada. Hello .. I ‘m jyoti… My qualification is B.sc (NM). And B.ed .. I ‘m married.. How can i apply.. So hope helpful feed back for you..
I’m from Pakistan.I have an experience of 22 years as school administrator in the field of education.I am M.A, M.Ed with 7 short courses in school administration management and student councelling.Teaching learning process has become part of my personal life. i want to open some new doors in this field and i think the land of Canada will provide me a chance. i have two daughters. i want to move to Canada.please guide me. Hi m tahira from pakistan.i hv bn teaching english as a second language to O levels for 8 yrz.m masters in eng luterature n m phil in applied linguistics.m interested to get teching job n canada n want its immigration. Hello Tahira. Thank you for writing to us. You will first need a job offer from a Canadian company. You can search the Canadian job boards such as http://www.monster.ca or http://www.indeed.ca . Once you have your job offer, we can help you obtain the work visa that you will need to come to Canada. In Canada, each province determines the qualifications that they need to allow someone to teach. You will need to verify with your Canadina employer that your teaching credentials will be sufficient. I m a teacher from India with a teaching experience of 11years n cleared ielts with 7 bands having multipurpose tourist visa for canada looking for working visa can u guide me for the same. Hello Taljit. The first important step is to get a job offer from a Canadian company. Once you have a job offer, then we can help you obtain the visa that you will need to be able to work in Canada. You must take note that every province in Canada has their own rules and requirements for obtaining a teaching license. You must check to see if your teaching credentials are acceptable for the jobs you apply for. Hello sir ..I am a special educator who in mentally challenged field with at least eight year experience. now I want to move in Canada .I m married and have three children.. please guide me as soon as possible. Hello Garima. Every province in Canada has their own rules and regulations that govern the qualifications that teachers must have. You should check with each of your potential employers what qualifications are needed. Hello sir, I m Sania from India. I have done bachelor’s in political science hons n pursuing 2years b.ed. I want a teaching profession in Canada. So I m planning to do m.ed in Canada. What do you suggest.. what qualifications are required as I have no experience. Hello Sania. Each province in Canada has their own requirements for the credentials needed to be able to teach. When you look for a teaching job yo must make sure that your qualifications match. Hi. I m nisha. I am bsc(computer science). I have a teacher job letter from one of my friend who has a small private school in ontario. Now what i have to do further to get work permit? Is LMIA is coumplsory for teacher job or exempt? Hello, I am a physics teacher in India with work experience of 13 years in very reputed school in India. I have done Msc physics and M.ed. I have recently given Ielts and scored L-7,R-8.5,W-6, S-7.5 with overall band score of 7.5.I wish to immigrate to Canada as a teacher.what r my prospects? Kindly clarify. Is this score in Ielts academic sufficient? I m 37 year old. Hello Kalpana, The first step is that you will first need a job offer from a Canadian educational institution. 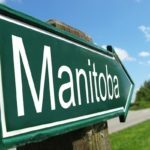 Each province in Canada has their own rules and certifications so you will have to check with them to see if you qualify. You can search the Canadian job boards such as http://www.monster.ca or http://www.indeed.ca . Once you have your job offer, we can help you obtain the work visa that you will need to come to Canada. Hi, i am Pratibha Verma. I am 27( F unmarried) and have a degree in B.Sc ( computer science) and have done B.Ed. I have teaching experience of 3 years and 6 months. I have been taking kindergarten in an International school. I want to know about the requirements that i need to meet in order to be eligible to apply for the immigration to Canada. I will appreciate your feedback. I am assistant professor in university in India. I am PH.D in computer science and have 15 years. Of teaching experience. What are my chance to get the job in Canada. Hello Anu, In order to get a job in Canada you must contact the educational institutions on your own. Once you have a job offer, we will be able to help you obtain the work visa that you will need to come to Canada. I am working as an electrical design engineer from past 3 months before this i was worked in an engineering college as an assistant professor (Electrical Engineering Department) and having a teaching experience of 6 years. i want to shift/ work in Canada in an education sector/Teaching Profession. i also done my masters in engineering (M.TECH) from IIT in energy systems and B.tech from private engineering college in Electrical & Electronics engineering. so please let me know how i made this possible. Hi, I have done my masters (MTech) in Chemical Engineering with honors (year 2011) and having 4.1 yrs experience, currently working as Assistant Professor in Engg College. I am 27 and unmarried, plz tell me how can i apply for Assistant Professor jobs in Canada? Also how much time will it take to complete the whole procedure? I would preferably want to go on PR and appearing for IELTS exam next month . Hello Priyanka. You must check the online job postings such as http://www.monster.ca and http://www.indeed.ca to see what openings are available. You can also contact universities directly. Once you have an offer letter of employment, we will be able to help you obtain the work visa that yo will require. My name is kuldeep Singh .I have completed my B.Sc in (Electronics).After that i have completed my B.Ed in (Math and Science).Nowadays i teaches in a school from last two years .Is there any opportunity for me in teaching in Canada. Hello Kuldeep. Every province in Canada has their own rules and regulation for the profession of teaching. You will have to find out which provinces will accept your credentials, and you will have to get a job offer from one of the educational institutions in that province before you will be able to apply for a work visa. Hello Bradley. Each province in Canada has it’s own rules and regulation regarding the teaching profession. You will need to check with each province to see which ones accept your credentials. I’ve worked as a teacher for 10 years in Iran. I’m Iranian and 38 (F, not married). I want to immigrate to Canada as a teacher of Art and of course, graduate in a course of education. Hello Zahra. Thank you for writing to us. The first step that you need to take is to find a job with a Canadian educational institution. You can check with the online job banks such as http://www.monster.ca and http://www.indeed.ca . In Canada, each province has their own teacher certification process. You will need to make sure that your current certification is acceptable. Once you have a job offer we can help you obtain the work visa that you will need to be able to work in Canada. My wife is 33 years old and she has done B.A,B.ed,M A & Msc IT & has 7 years of experience as early childhood educator from reputed school, also done G T ielts with overall 6.5 bands not less than 6,can she apply for canada? hello.. i m graduate in computer applications and i have a four year experience as a computer teacher in private institute.As well as, i have done Academic IELTS with 6 bands..plz give me suggestions how i can migrate to canada..
Hi, I am Jyoti from Mumbai and I wish to migrate to Canada as a teacher. I have a Hindi teaching experience in various schools and currently I am teaching in a school affiliated with Cambridge university as a Hindi and CAS teacher. I wanted to know the migration procedure and also how do I go about it? Hello Jyoti. Thank you for writing to us. If you want to work in Canada the first place to start is by getting a job offer from a Canadian employer. You can search the Canadian online job search engines such as http://www.monster.ca, http://www.indeed.ca. In Canada, each province has it’s own rules and regulations regarding teaching licensing; you must check with your potential employer if your credentials are acceptable. Once you have your job offer, you can contact us to help you obtain the work visa that you will need to work in Canada. This is Farrah from Pakistan. I need your guidance for immigration under the scheme of skilled worker visa of CANADA. I am PHD in URDU and also done nine month Postdoctoral study from Cambridge University UK. I am working as Assistant Professor in University in Pakistan from last 10 years. I have also contributed in research work like wrote 10 books and many research papers. I am 35 years old. Do i qualify for immigration to canada and does ielts is essential for me? if yes, then which band? Hello Farrah. Yes you must take the IELTS exam and score a minimum of 6 in each of the bands. I have done M.Tech (C.S.E) and I have 5yr experience as a computer teacher in a private school. Please tell me can i apply for PR in canada. hai Sir, I am Amalini of south India. i am a teacher in English for 12 years. I which to migrate to Canada pls suggest needful advise. Hello Amalini. The first step that you need to take is to find a job with a Canadian educational institution. You can do that by checking the Canadian on-line job search engines such as http://www.indeed.ca and http://www.monster.ca . You must keep in mind that every province in Canada has their own rules and regulations on what certification a teacher must have. You will need to check with the educational institution if your credentials are acceptable. Once you have a job offer, you can contact us to help you with the visa that you will need to work in Canada. Hi sir,this is Md asif from india ,I had M.A+B.ed with 7 years of continuous teaching experience in an English medium school, I had uploaded my CV on nokri..com after 2 days I got a call from a consulting agency nd they had offer me teaching jobs in Canada but first they asked me submit me some documents along with a fee of 1800 as a processing charge as they told me that they would verify my documents,please suggest what should I do in this case? Thank you for writing to us. You need to investigate for your self if it is a legitimate offer. In order for it to be legitimate, you will need to have a job offer from the learning institution, and the learning institution will need to have performed an Labour Market Impact Assessment. Thanks sir,actually they told me to pay the fee first only after that they would worked or proceed my file to the next level. Hello Gurmeet. You must find a job in Canada first. Once you have a job offer, we will be able to help you get the work visa that you will require. Im a French teacher from India…teaching school n college students since past 13 years. I have cleared alliance francaise levels of french n can speak it fluently. Can i migrate to canada? If yes, on what type of visa? Hello Sweta. Every province in Canada has their own rules and regulations for teacher certification. The best way for you to proceed is to search the Canadian online job boards to find a job that you feel that you are qualified for, and then contact the school to see if your credentials match their requirements. 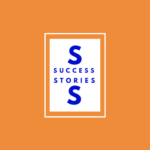 If that is successful, you can begin working on your work visa. I am 42 yrs old. M.A, M.PHIL in English. Working as post graduate teacher in a gov school for 9 yrs in India. Whether i shall get any suitable job in Canada? Hello Sarmistha. Every province in Canada has their own rules and regulations that govern the qualifications that they require to be able to teach in their province. My suggestion to you is search the Canadian online job sites and talk with the prospective educational institutions to see if you qualify. When you receive a formal job offer, we will be able to help you obtain the work visa that you need. I am MBA in finance. i have 15 years work experience. for last 5-6 yrs i was in logistic field. 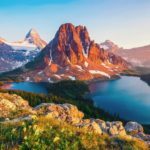 whether i shall get any suitable job in Canada? Hello. The best way to find a job that suits your skill is to use one of the many online job sites: http://www.jobbank.gc.ca http://www.indeed.ca http://www.moster.ca Once you have a job offer, we will be able to help you obtain your work visa. hello, myself Raj chowdhury, from India. My qualification M.Sc(microbiology), B.Ed, CIDTL(Cambridge). I am teaching Biology for secondary/intermediate grades since last 4 years in one reputed ICSE school India. Now i wanna move to canada with the same profession. can you please help me out? thank you. My name is Don Bosco. I m double master degree holder in Political Science and Education and bachelor degree in Political science and education with five year of teaching experience. Hello Don. The first step towards immigration is for you to get a job offer from an educational institution in Canada. You can search all the online job boards to find something that you are qualified for. Every province in Canada has their own rules and regulations regarding teaching credentials. Once you have a job offer, please contact us so that we may help you get the necessary work visa that you will need. Hi,I am teaching in a primary school since last 27 yrs. Can I get a job as a teacher in Canada? Hello Bindu. Every province in Canada has their own specific rules and regulations on the qualifications that someone must have to become a teacher. I suggest that you check with the Canadian online job websites and see what the requirements are for existing jobs. Hi i am Nag, i have completed my Ph.D in Organic Chemistry in 2015 from indian university, currently i am working as a post doc in japan. i am married, children not yet. I am interested to do teaching. Could please let me know, what are the possibiliteis for me to teach in canada. Hello Nag. Thank you for writing to us. From what you have written it looks like you have excellent credentials. Each province in Canada has its own rules and requirements for professionals that want to become teachers. The best thing to do is look for a job on one of the many Canadian online job sites, and see what their requirements are. Once you have a job offer, we would certainly be able to help you get the Work Visa that you will need. Hello Sandeep. Our firm does not handle job placements, we are an immigration law firm. We can help you get your work visa once you have a job offer. The best way to find a teaching opportunity is to look at the many job posting sites on line. I am an english teacher with 4 years of experience. I’ve completed my Bachelor of Education. I am already in the express entry pool. could you please let me the know the prospects of getting a job in Canada so that I can improve my CRS. Do I need to have any extra certification for the same? Hello Sharmi. Every province in Canada has their own certification requirements for educators. You need to investigate each one to see which one will recognize your certification, and then apply for a teaching position. I am working as a PE teacher and basketball coach, have experience of 5 yrs. How can i get a job in Canada permanent or on contract basis? Hello Pradeep. It must be very rewarding working with young people to help them stay in shape. Unfortunately we are not a job placement agency. The only advice that I can give you is to check the Canadian online job boards for something that suits your skill set. Once you have a job offer, we can definitely help you get the work visa that you need. Hii.. Can I apply for teaching Punjabi language in Canda. I am doing my masters. I am married. How can we migrate to Canada.. I am working as an Assistant Professor in the department of Electronics and communication Engineering for last four years.I have completed my M.tech(Master of Engineering) .my husband is a fitness trainer and a orfessional bodybuilder. Now we want to work in canada what are the requirements needed for that and also i want to know the entire process of getting immigrant. Im an Indian citizen and want to immigrate to Canada.. I have a work experience of 5yrs in one of the leading pvt bank of India at managerial level… My husband has a business experience of more than 10 years… we both want to move to Canada… could u pls suggest which visa shall we applied to get settled down to Canada..we both are of 29yrs of age..
Hey thanks Mr. VAHE… Could you pls explain more abt express entry?? Express Entry creates a pool of candidates for permanent residency based on points that are credited for education, work experience, language proficiency, and family situation. The best candidates are chosen from the pool. The minimum points needed to be selected are at it’s lowest point ever. Hello, I am Turkish, and i studied music/piano at The Royal Conservatory of Brussels. I have both my masters and post graduation degrees. I will study the teaching programme either at the same conservatory or distance learning online. After finishing my studies could i be working in Canada as a music teacher in the primary or secondary schools? Thank you for writing to us. In Canada, education, like medicine, has specific rules and regulations for the different provinces. You would have to check with the area in which you are interested in teaching to see what their accreditation requirements are. I am a 30-year-old Indian, teaching English at a government college in Saudi Arabia. Earlier, I worked as a Sub-Editor in an English newspaper in India for over four years. I have done MA English, Post Graduate Diploma in Mass Communication and Journalism, Post Graduate Diploma in Disaster Management & Security. I am interested in living and working in Canada for 2-4 years. Kindly guide. heloo i am teacher employ semi goverment .my teacher experience is 7 year.i want to be teach in canada school.plz help me. Hello Shazia. In order to best advise you, I will need a lot more information about your situation. Please complete this form for me http://goo.gl/RvRtRK it is just a quick and easy way for me to learn more details about you and your situation so that I will be able to advise you accurately on how to get to Canada as a teacher. I am Anish… I have a degree of MBA in Healthcare services and my wife is a qualified and experience teacher of English and Social science. She has more than 5 years of teaching experience as well as she has a Certificate in hospitality. We both are looking for a job and ready to relocate. Can we get a job and PR in Canada? Hello Anish. It looks like you and your wife have excellent qualification for you to apply for Express Entry into Canada. We can certainly help you with your journey. Please complete this form for me http://goo.gl/RvRtRK it is just a quick and easy way for me to learn more details about you and your situation so that I will be able to advise you accurately and determine the best avenue for us to take to get you and your wife here to Canada. Thank you for writing to us Sharmistha. From what you have told me, you seem to be well qualified to apply for Canadian Express Entry. Of course, there are many factors that must be taken into account; education and work experience are just a few. With regards to funds, you would need to show that you have approximately $15,500 (for a family of two). If you have children, the amount increases. If you would like help in getting started, Please Sharmistha, complete this form for me http://goo.gl/RvRtRK it is just a quick and easy way for me to learn more details about you and your husband so that I will be able to advise you accurately and determine the best avenue for us to take to get you both here in Canada. i have done pg in english and b.ed that is professional qualification. i am teaching in a govt. school in punjab as english mistress at upper primary level for the last 4 years.i aspire to get pr in canada . Hello Shallu. There are many factors that are taken into consideration when granting Permanent Residency in Canada. From what you have told me, you have excellent work and language skills; that will help a lot. I am going to ask one of our immigration professionals to contact you to see how we can help you fulfill your desire to come to Canada. I have finished my bachelors degree in Business administration. After that I have been working as an elementary school teacher for the last 5 years in a private school. I have not done B.Ed. Am I eligible to apply for Canada as an Elementary school teacher under NOC 4032? Hello Zinia, thank you for your question. Under NOC 4032, Bachelor Degree in Education is required thus, you may not qualify under this NOC. That being said, there may be other ways that you can enter Canada because of your degree. One of our immigration professionals will be contacting you shortly to see how we can help you. I am working as a teacher in india for 7 years. i have experince of school principal for 2 years. i don’t know anything for migrating to canada as a teacher. i want to know total process from stat to end. can u explain me how can i go there? what qualifications are required for me to go to canada as a teacher. hello,i am santoshi having work experience with 4 years in teaching..i completed master degree with b.ed.i am very much intreasted to work at canada since 10 months the process also started..could you recommend some suggestions to arrive there. Thank you for your inquiry Santoshi. I am really glad that you contacted us. There are federal programs that you could qualify for. Please Santoshi, complete this form for me http://www.visaplace.com/immigration-assessment/ it is just a quick and easy way for me to learn more details about you and your situation so that I will be able to advise you accurately and determine the best avenue for us to take to help you immigrate to Canada. Hello, I just want to enquire I, have completed my B.Com and doing correspondence in MBA in Finance field , I, have 4 years of Teaching all boards working in India as Maharashtra Board, DELHI CBSC Board, ICSC Board students studing in Nursery to 6th standard. please let me know how to apply for teacher profile job in canada . And will i be getting selected in your country with the above qualification mentioned with experience. I used to take private class at the students place. Thank you for your inquiry Bhakti. I am really glad that you contacted us. There are avenues that we can help you to take in regards to your immigration to Canada this will entail mainly under federal level immigration programs. Please Bhakti, complete this form for me http://www.visaplace.com/immigration-assessment/ it is just a quick and easy way for me to learn more details about you and your situation so that I will be able to advise you accurately and determine the best avenue for us to take. Thank you for your inquiry Pooja. I am really glad that you contacted us. Yes, you do qualify to apply under one of the federal categories. Please Pooja, complete this form for me http://www.visaplace.com/immigration-assessment/ it is just a quick and easy way for me to learn more details about you and your situation so that I will be able to advise you accurately and determine the best avenue for us to take to help you gain permanent residency in Canada. I am employed as associate professor in an engg college. I have 15 years of teaching exp with pg, m.phil, and ph.d in the completion stage (awaiting viva)..can u advice me on my scope to work as lecturer or prof in canada? I am working as an Assistant Professor in the department of Computer Science and Engineering.I have completed my M.E(Master of Engineering) and now pursuing my PhD and also i am having 6 years of experience in teaching.Now I want to work in canada what are the requirements needed for that and also i want to know the entire process of getting immigrant. Hello. I am a B.El.Ed (bachelors of elementary education) graduate from Delhi University, India. Currently I am pursuing my masters degree in counseling psychology. I do not have job experience. Is there any option for me to migrate to canada.? I have internship experience of mother teacher grade 5(all subjects). Please inform me as early as possible. I am M.A (Political Science), M.Ed( Masters in Education). It is recently done by me in august 2015. I want to go for P.hd to become a professor. I want to go Canada. What can i do. Reply me please. I am waiting your result. Hi need an advise my wife is a teacher is any change to get immigrant in Canada please advice what is the formalities. I have a PhD degree in chemistry and working as Applied Chemistry Lecturer in India since February 1999. Also I had the opportunity to work in Saudi Arabia during the period Dec 2008 to Jan 2013 for a Mitsubishi project as faculty to train the engineers and scientists working in Saudi petrochemical industries. Now I am back in India and continuing my job as Senior Lecturer in t of Technical Education department. Please let me know my chances in Canada. I m working as Tamil Head language Teacher for past 19 years. Atpresent I m working in reputed school as HOD at Doha qatar. I’m very much interest to teach unknown Tamil people. to be Very frank I’m in middle class commercial back round .Can I get a chance to work over there.pls give me correct guidelines & I m 45 years old women. Hello Susheela. Thank you for writing to us. If you want to work in Canada the first place to start is by getting a job offer from a Canadian employer. You can search the Canadian online job search engines such as http://www.monster.ca, http://www.indeed.ca. In Canada, each province has it’s own rules and regulations regarding teaching licensing; you must check with your potential employer if your credentials are acceptable. Once you have your job offer, you can contact us to help you obtain the work visa that you will need to work in Canada. I m teaching Political Science to class 12 &11 and indian history and economics to the students of middle school. Do you think that i can opportunity to go abroad as teacher. I hold a PG in English Language and Literature and also have a Masters In Education (M.Ed.) with 2 years teaching experience in a Teacher Training College at the PG level. Please tell about my chances at Canada and do share information about valuable job sites for teachers. Thanking you in advance. I am a Human Resources professional with 11 years experience, would like to know how good chanced do I stand of getting a job in Canada? Please advise. I am a permanent resident of Canada, and my wife will be joining me here once here sponsorship papers are processed. She is MSC in Botany and B.ED from India. What are her options her to go in the teaching field. What is scope of ph.d history as a pro in canada . I am a research scholar in Economics (from Madhya Pradesh, India), due to finish my doctorate by the end of this year. Other than this, I have done M.Phil and MA in Economics. Have 7-8 work experience, in teaching and admin work. Do I stand a chance to work in Canada? If yes, how should I go about starting this process. Hey, I am teaching in dav school for 14 years . Likely to have experience of 14 years having qualification Graduation, B.Ed,N.T.T. Is there any possibilty for me to migrate Canada or Australia? And what are the age requirements. I’m a teacher in International school in Gujarat with B.com, M.com, BE.d as degrees. and having 7 years of work experience in India. do i hold any chance to get work permit in Canada? I recently completed Ph. D. in Mathematics from a reputed Indian university. What is my scope to work as a teacher in Canada? I m B.Sc B.Ed graduate from India. I also done M.Sc Chemistry with correspondance studies. My wife is Post graduate in Computer education. She also has 8 years teaching experience. Can we migrate to canada as PR. I have a diploma in education along with 12 years of experience with elementary students. I am from Jamaica. What are the chances of me getting to migrate to Canada to further my career in education? I have worked in THE GURUKUL CHANDIGARH, INDIA for 3 years in junior wing having BBA, MBA diploma, B.ED from Punjab university .what are job postings that match my profile. I’m a private tutor with B.com, BE.d in maths and English and MA in economics as degrees. do i hold any chance to get work permit in canada? Yes, if you find an employer who is willing to go through the LMIA process (which we guide them through) then you can certainly get a Work Permit given your qualifications in teaching. Please see http://www.visaplace.com/canadian-immigration/temporary-visas/work-permits/ for more information. Thanks for the question. If you teach at the university/college level or teach very young children then you may qualify under the express entry program. Otherwise, you can also look for potential employers in Canada and we would be glad to help you obtain a work permit. Please see http://www.visaplace.com/canadian-immigration/temporary-visas/work-permits/ for more information. Hello I am sadiqua I have been worked a kindergarten teacher in Kingdom of saudi arabia. And I have 5 years of experience and I have done montessori teacher training and B.A in sociology .is it possible to get job and what is the procedure .presently I am staying in India. Thanks for the message. We would be happy to help you obtain a Work Permit so that you can come to Canada to teach. Please see http://www.visaplace.com/canadian-immigration/temporary-visas/work-permits/ for more information. You would have to check with the appropriate regulatory authority in order to determine that. Congratulations on your decision to immigrate to Canada! Hy i have heard that canadian imigrations are open now. I am working as an early years teachers from last 6 years. I want to move to canada. Plz guide me regarding and what is the last date to apply. There is no deadline for the Work Permit application that you could pursue. Please refer to http://www.visaplace.com/canadian-immigration/temporary-visas/work-permits/ for more information. I have done my masters in chemistry and have bachelor’s degree of education. I also have 3 years experience as primary school teacher and further 3 years experience as upper primary school teacher. I’m still teaching in a reputed school. Can I get a job in Canada.Can any school sponsor me from there. Can we register from India for teacher job there. Please guide. Thanks for the question. Yes any employer could attempt to sponsor, and we would help to guide them through the entire LMIA process so that you can come to work in Canada. Please see http://www.visaplace.com/canadian-immigration/temporary-visas/work-permits/ for more information. If you have experience and training in early childhood education, you should click on the Skilled Worker Immigration option. You should also feel free to phone us directly so that we can set up a consultation with you, where you will be able to receive personalized advice specific to your particular case. Don’t hesitate to contact us with any further questions. Hello I am 31 and have been a qualified primary school teacher for 6 years. I have a 2:1 BA Hons in Early Childhood Studies and a PGCE in Early Years Care & Education. I want to move to Canada and work as a teacher. How do I go about it? My husband works at a airport in security too. Can he transfer? Thanks for the question. It may be possible to come to Canada under the FSW program or some other programs, and your masters and B.Ed. degree and teaching experience will be very helpful in this regard. Please refer to http://www.visaplace.com/blog-immigration-law/canadian-work-visa/migrate-canada-teacher/ for more information on coming to Canada as a teacher. i am working as as Hindi teacher from last 2 years , my qualification is MA(HINDI), B.ED, can i apply for PR. I have done B.Ed, M.Ed and now doing M.Phil in education. I don’t have yet any teaching experience. I want to know can i apply for Canada for Job? I am a teacher with 4 years of teaching experience. I hv a Masters degree in English and B.ed. I have 1 kid and my husband has a MBA degree . I am from india. How can I move to canada. I am m.a ,b.ed.and teaching as a teacher in primary section.l have two years experience.l am married and have two children.my husband is d.pharma. Holder.lam getting seven bands in ielts.can we apply to Canada with family? I have done M.Sc in Genetics with additional Biotechnology course. I am working as Biology teacher for last three years.I would like to work in Canada .How can I apply.Please guide me regarding the same. Thank you for your recent post. You might be eligible under Federal Skilled Worker class. However, we need more information from you to assess your eligibility. Please complete our online free assessment form and we will get back to you within 24 hours to discuss your options. I turst the above meets with your satisfaction. Hello everyone, i had done post graduation in forensic science and graduation in biotechnology hons. I’m having an year experience of one year as a biology teacher of grade 12 and i’m also working as a volunteer with an NGO from past 5 years. I have recently given the ILETS exam having overall band score of 7.5. My age is 24 and i am an Indian citizen. Is their any category under which i can apply for PR or work permit for Canada? SIR I HAVE PASSED POST GRADUATION IN M.SC(COMP-SCI)…..WITH DONE FIVE BAND IN IIELTS..I M FRESHER…….SO I WANT TO MIGRATE TO CANADA. IN TEACHING LINE………..PLZ GIVE ME BETTER SOLUTION…. Depending on your work experience and qualification, you may be a candidate for the Federal Skilled Worker Program. For example, University Professors are more likely qualified for FSW than elementary school teachers. There have also been recent changes to the Temporary Foreign Worker Program where qualified foreign workers are matched with employers in areas of the Country where there is a shortage of skilled, Canadian workers. To find out if you qualify for Canadian Immigration, please fill out our Online Eligibility Assessment Form and one of our experienced immigration consultants will be in contact with you within 24 hours. I am a teacher in Geography. Now my status Asst. Professor.I have 10 years work experience in a college.I am married and I have two daughter.I like to immigrant to Canada.How can I apply? I can see that you might qualify as a lecturer and then proceed further with your immigration request. In order to give you the full answer we need to have a full eligibility assessment. Please visit http://www.visaplace.com/immigration-assessment/ and complete the assessment form. Once your qualification and work experiences reviewed we will contact you. I am working as assistant proffesor in commerce in india from four years and now I want to give my service in canada. I am married and my husband is accountant as part time. So we want to serve in canada now. Please intimate me regarding what we should have to done for this.So I hope helpful feedback from you. You and your spouse may qualify for Canadian Permanent Residence under the Skilled Worker Category but we would have to perform an immigration assessment first before proceeding. You can complete our online assessment form here. As french teacher I ´m looking for a temporary job in Canada, outside Quebec. I’m teaching for a long time already, i am french, working in Holland. I would like to work in a canadian school. Which internet site do you advise me te look at? If you find a job, feel free to contact us for assistance for a work visa. I am a teacher employed by a state government in Nigeria. I have 8 years teaching experience. I am married with a kid and wishes to relocate with my family to canada. My husband also has 5 year teaching experience. What requirements do we need to meet in order to be able to apply? Would really appreciate a helpful feedback. You may be eligible to immigration to Canada under the Skilled Worker Category. In order for us to assist you can complete our online immigration assessment form and we will get back to you.